Near my home, great blue herons are flying to and from their nests in the tall firs in the park near the sea. As their chicks fledge, a new season of coastal books for kids is taking flight. Young readers can follow the adventures of a lone wolf in British Columbia’s Great Bear Rainforest, explore the reconstruction of a blue whale skeleton, or learn about citizen science and the ways in which our actions impact animals. This season’s books also offer opportunities for inspiration and reflection—immersing readers in the story of the late scientist known as the Shark Lady and in the eye-opening journey of refugee children, for example. Whether for bedtime, beach time, or family story time, one of these titles is sure to enrich and enlighten the young readers in your life. 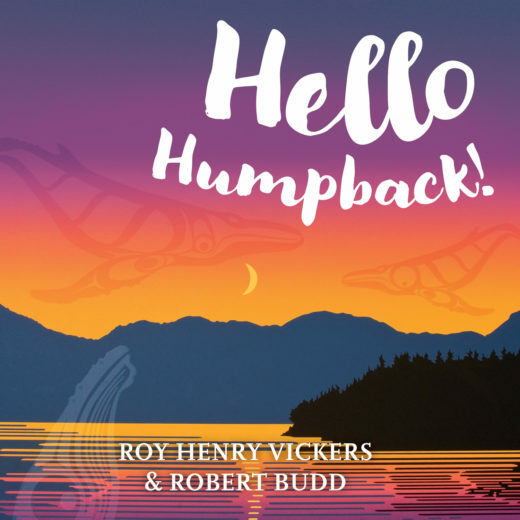 One of my favorite books of the season is Hello Humpback, a board book featuring the stunning artwork of British Columbia First Nations artist Roy Henry Vickers, coauthored with Robert Budd. It is a magical West Coast celebration of flora and fauna as seen through an indigenous cultural lens. Little ones will love the simple language and the opportunity to touch the embossed images. 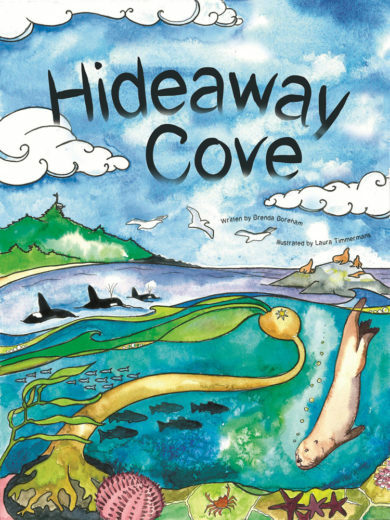 Hideaway Cove is a delightful, information-packed picture book that takes children through a day in the life of a west coast cove. Here, humans are noticeably absent and the diverse plants and animals tell a wonderful tale. 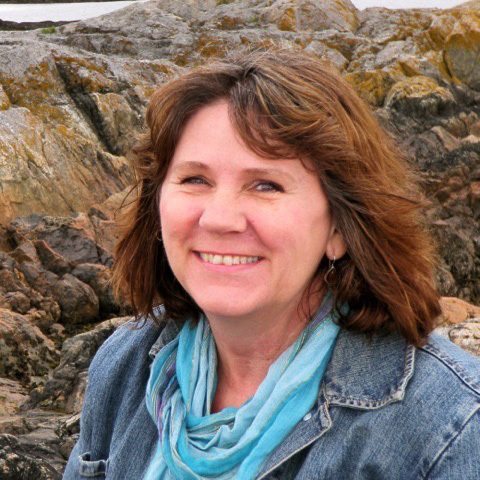 Brenda Boreham’s text is lyrical and rich in detail. Educators and parents alike will appreciate the endnotes with further details about flora and fauna, as well as the illustrated map locating the habitats of the featured plants and animals. It’s among 150 books published by Strong Nations in Nanaimo, British Columbia, which grew out of an indigenous bookstore of the same name. Although Hideaway Cove appears to be intended for the educational market, it is beautifully written and would be suitable for family bookshelves. Children will be intrigued by Donald Uluadluak’s memory of his childhood encounter with an Inuit arnajuinnaq (sea creature) in The People of the Sea. 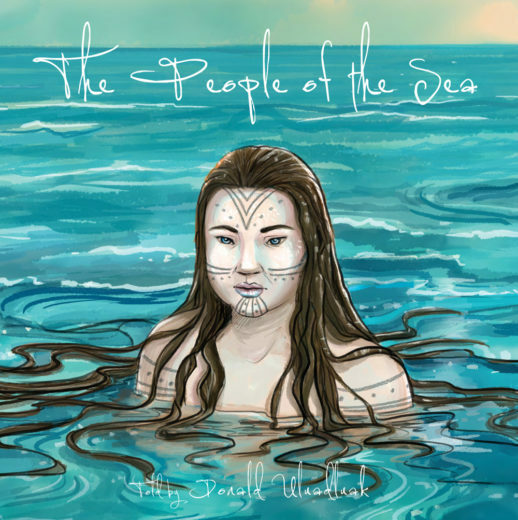 Enriched by the artwork of Mike Motz and the publisher’s cultural and language notes, The People of the Sea will contribute to both preserving and sharing Arctic stories. Uluadluak’s recent death, and the diminishing number of elders with experiences like his, makes the need for preserving these unique stories all the more urgent. 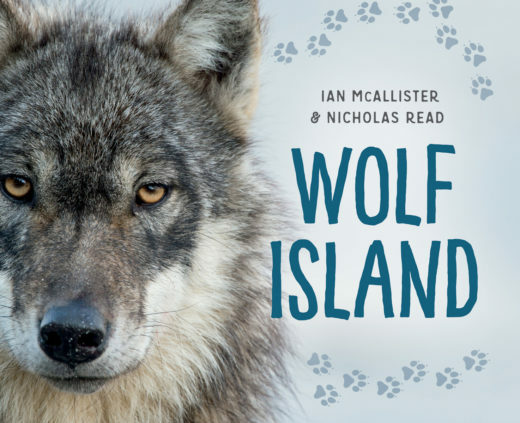 The Great Bear Rainforest, which stretches from the central coast of British Columbia to the Alaska Panhandle, is at the heart of Wolf Island, a stunning picture book with broad appeal. Ian McAllister’s close-up photographs chart the journey of a lone wolf that leaves his pack in search of a new home. The story spans several seasons and is evocative with rich details about wolves and the temperate rainforest ecosystem. Young naturalists and budding photographers will be captivated by this story as well as the three other titles in the exquisite Great Bear Rainforest series. 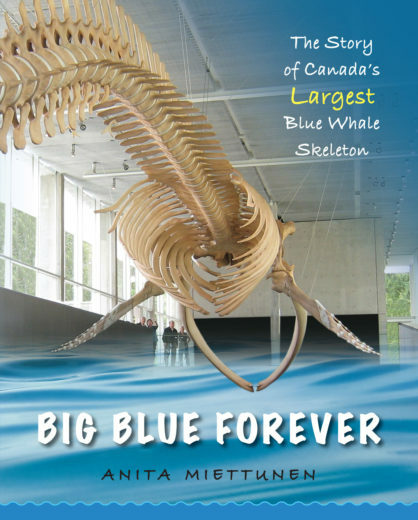 Big Blue Forever: The Story of Canada’s Largest Blue Whale Skeleton aims to bring a sense of wonder and respect for blue whales to young audiences. The book begins with a short fictional account of a blue whale that washed ashore on Prince Edward Island in the 1980s. “It’s as big as a boat,” one little girl observes. At the time, the whale was buried to keep it from smelling. The book then shifts into non-fiction and jumps ahead 20 years to when scientists unearthed the 150-tonne blue whale skeleton and transformed it into the centerpiece of a museum. The second half of the book focuses on the monumental task of cleaning, shipping, and re-articulating the huge skeleton. Photos and detailed descriptions, such as a single flipper measuring three meters and containing more than 30 bones, add interest. The skeleton is now housed at the Beaty Biodiversity Museum in Vancouver, British Columbia. While few of us get the opportunity to see a blue whale, many Hawaiian locals and visitors have been lucky enough to see monk seals. As a protected species, monk seals get first dibs on beaches in Hawai‘i. If a pregnant monk seal arrives on a beach, that section is off limits to beachgoers until she returns to the sea with her pup. 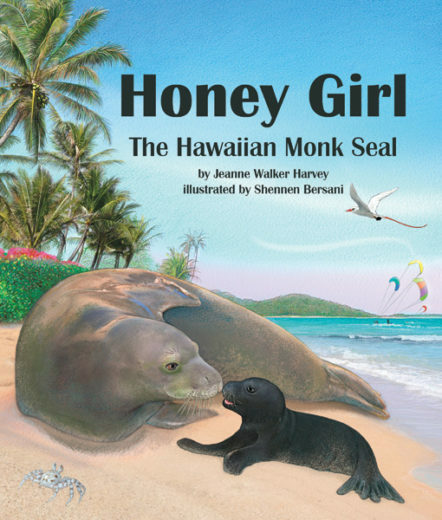 Honey Girl: The Hawaiian Monk Seal is the true story of an injured monk seal spotted by kite surfers. They immediately alert scientists, who help the malnourished seal by surgically removing a large fish hook that pierced her tongue and prevented her from eating. After extensive rehab, Honey Girl is returned to the wild. This is one example of the scientific community working with citizens. 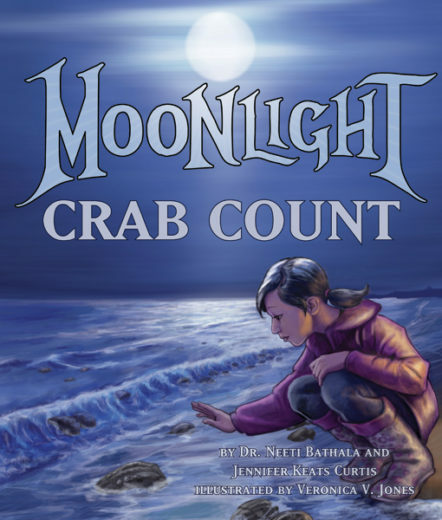 Another example is the subject of Moonlight Crab Count. It tells of a mother and daughter who volunteer each summer to count the horseshoe crabs that come ashore at night to mate and lay their eggs. Scientists rely on volunteers like this duo to gather data. Both titles do an excellent job of integrating information into a picture book format and providing additional facts and conservation information at the end. 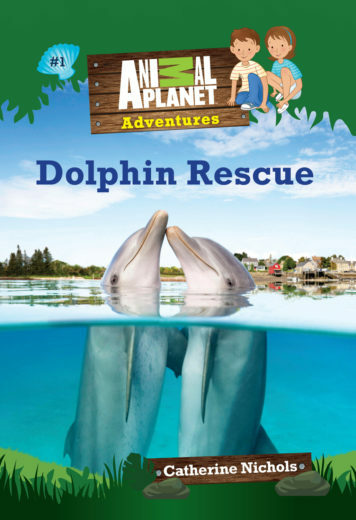 Dolphin Rescue also presents science within a fictional format. The story’s young protagonists help a baby dolphin entangled in the line of a buoy, while also helping solve a mystery. Part of the Animal Planet Adventures series, the simple language and sentence structure of this early chapter book makes it suitable for beginning readers, while the mystery element draws in slightly older reluctant readers. Sidebars provide additional fascinating science facts while ensuring an engaging read. 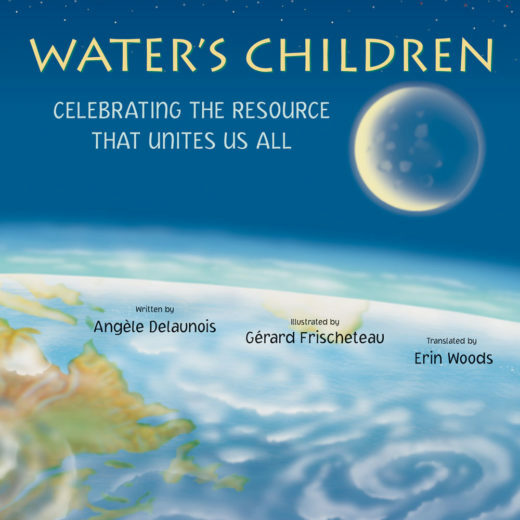 Responsible stewardship is written between the lines of Water’s Children, a picture book that offers a snapshot of what water means to different children around the world. To a child whose father is a fisherman, “water is the ocean.” To other children, water is “a bowl of rice” grown in “the sparkling grid of flooded fields,” or, water is “the monsoon … the thirsty ground cracked and waiting.” And in a refugee camp, water is “a miracle” that arrives by truck. Translated from French, the simple text is beautifully illustrated by Gérard Frischeteau. The author and illustrator seamlessly show that water is, indeed, life. Until Eugenie Clark came along, most people thought that sharks were bloodthirsty killers. Not only did she prove them wrong, she showed the world that sharks are intelligent and efficient hunters exquisitely adapted to their environment. From a young age, Clark was fascinated by sharks and later became the first person to study them in their own habitat. Her curiosity and passion led her to open the Cape Haze Marine Laboratory (now the Mote Marine Laboratory and Aquarium), where she continued to research and advocate for sharks and other marine animals. 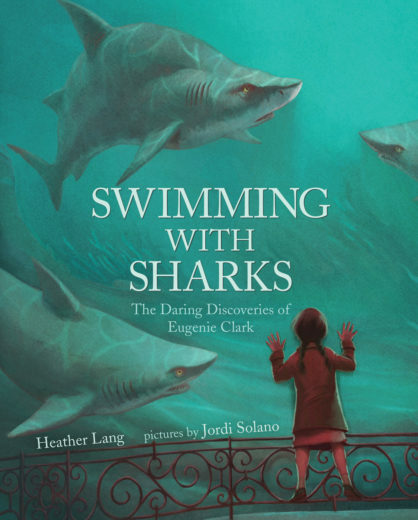 Swimming With Sharks is Clark’s journey from an inquisitive nine-year-old to an international shark expert who became known as the Shark Lady. This accessible picture book with additional notes is a biography that is sure to inspire the next generation of scientists. 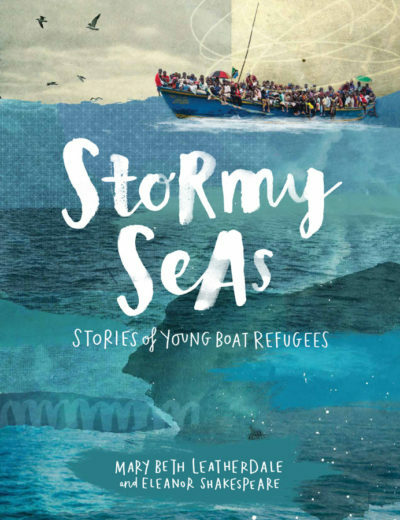 Stormy Seas: Stories of Young Boat Refugees is a haunting, yet timely and relevant read. Its stories—often harrowing and sometimes heartbreaking—are worth sharing as a family because questions and discussions are a certainty. The book gives a general description of what it is like to be a refugee, supplemented with firsthand stories from children who have fled their homes due to war, enslavement, repression, hunger, or certain death. Although many have come from landlocked countries, their escape often involved a grueling boat trip arranged by human traffickers caring more about financial gain than their passengers’ lives or well-being. Tragically, the refugee saga is not a new one. Stories range from 18-year-old Ruth who fled Nazi Germany to 11-year-old Najeeba who fled the Taliban in Afghanistan with her family in 2000. This is a book that can be difficult, but it should be read. Cite this Article: Sheryl McFarlane “Coastal Books to Keep the Kids Busy This Summer,” Hakai Magazine, Jun 15, 2017, accessed April 26th, 2019, https://www.hakaimagazine.com/features/coastal-books-keep-kids-busy-summer/.